introduces us to the surprisingly varied population of the area: the Cajun men and women who work the seasonal shrimp harvest, the Vietnamese fishermen, the Houma Indians driven to the farthest ends of the bayou by the first European settlers. He describes the food, the music, the culture, and the life of all those who live along the bayous. And under his keenly observant eye, the bayou itself becomes a compelling character—-reminding us of how much we stand to lose if we fail to address the problems facing this most vibrant of places. 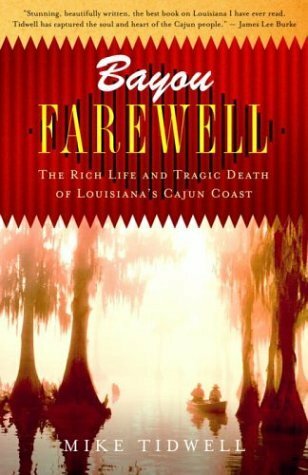 Part travelogue, part environmental exposé, Bayou Farewell is the richly evocative chronicle of the author's travels through a place and a way of life that are vanishing virtually before our eyes. From the Hardcover edition.